Can you do distant healing at Reiki First Degree? It is taught commonly on Reiki courses that you aren’t able to do distant healing at First Degree and that you can only send distant healing once you’ve been ‘attuned’ to the distant healing symbol. I don’t agree with that and think it’s unnecessarily dogmatic and limiting… and makes no sense! Firstly, distant healing isn’t something that is unique to Reiki: many spiritual healers practise this. So we have a group of people who haven’t been attuned to Reiki at all, they haven’t been ‘attuned’ to anything in a Reiki sense, and they can send distant healing. So are we saying that people who haven’t been attuned to Reiki are able to send distant healing, but once you’re attuned to First Degree then this ability somehow stops, only to start again when you’ve been on a Second Degree course? And let’s think about the Buddhist origins of Reiki: one of the principles of Buddhism is that reality is illusion, the idea of us being separate individuals, distinct from other people, is illusion, and that the true reality is that of oneness. Mikao Usui was a Buddhist. Mainly, he taught people who were Buddhists or followers of Shinto. Would he have established an energetic system, when his whole worldview was based on the idea of oneness, that suddenly went against this grain and introduced the idea that people at First Degree were in some way exempt from this basic Buddhist principle of oneness? So we teach the basics of distant healing on our First Degree course, and why wouldn’t we, since it’s an essential part of the energy system that we use. We teach a simple approach, but it doesn’t need to be complicated. We don’t teach the ‘distant healing symbol’ (referred to as ‘HSZSN’) on First Degree and we don’t need to because you don’t need to use that symbol, or be ‘attuned’ to it, in order to send distant healing effectively. When we do teach the distant healing symbol on Second Degree, certainly it does provide a useful focus, though to be honest I prefer to use the corresponding kotodama instead since I believe that this mantra helps to make connections on a whole new level, whether working on someone in person or at a distance. If you’re currently at First Degree, why not experiment with distant healing and see what’s possible. To get you started if you’re not sure what to do, click to read about a simple distant healing method that anyone can use; it’s symbol free and it works well. At Reiki Evolution we’re happy for our students to experiment and find their own way with the energy: we don’t want out students to turn into clones of us! Are you at First Degree level and happily sending distant healing? Post a message below to let us know how you do it. What approach works well for you? If you’re already at Second Degree or Master level, what method do you think would work best for people at First Degree? What would you recommend? Post a simple method below, for us all to see. 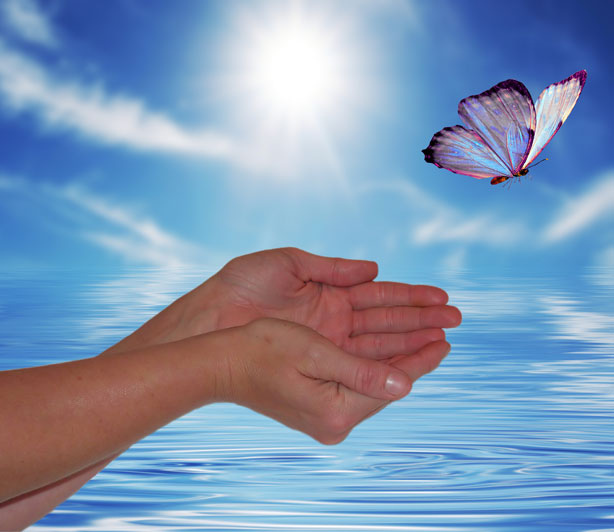 12 Responses to Can you do distant healing at Reiki First Degree? inspiring insights you are sharing. I admire the way you are sharing it. Is there any way I could sign up for more? Very inspiring indeed… There often also is a custom that separates Reiki I and Reiki II classes. 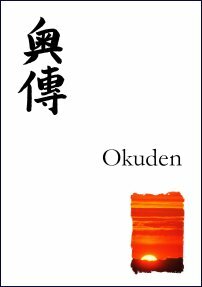 Shoden and Okuden… I used to do it as well. Then I found myself in a situation where the student was pretty much more ‘agile’ and intuitively skilled. and broke the rule. I now offer 2 types of classes for I&II, either separate or joined. because indeed the separation between I& II is quite thin depending on certain individuals who cold easily reach Okuden in 5 days. i tuned into a friend, correctly identified where she was feeling pain and sent her a short reiki treatment to ease the pain – i did this before i was attuned to 2nd degree. once i realised i could do it, i did it all the time. once i was attuned to 2nd degree, i found that the effectiveness increased with use of the symbols. i strongly believe 1st degree students could do the same. Well done in de mystifying and de cluttering distant healing. As Betty Shine often quoted, ‘ the thought is the deed’. I totally agree. There is no sensible reason why L1 practitioners cannot offer Distance Healing. The only reason to break the training up into L1 & L2 is time. If the class incorporates practice sessions, then sometimes we can’t fit everything in with one workshop or weekend etc. 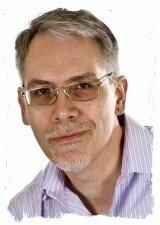 I do a lot of one-on-one Attunements, and like to allow the students whatever time they need to absorb and practise the basics without any pressure. It’s wonderful to tailor classes to suit the abilities of the student(s) who present. These days, everyone seems a lot more switched on and most can absorb energy work techniques very quickly. For those who don’t, then a slower pace will suit them better. In the end, it all works! Hi Linda, I agree that students can take different amounts of time to become comfortable with working with the energy. I would never run a Reiki 1/Reiki 2 course over one weekend though because it’s not a race and I think it’s important for the student to have practice at getting to grips with what they were taught on Reiki 1, work on themselves for a while, practise treating other people, before moving on. I completely agree that level 1 students can intend to send healing & it can be received. Energy is energy, time a man made construct, so it’s great to have you deconstruct the man made rules that humans tend to get caught up in. Thanks for all you do to keep Reiki as accessible & simple as it really is. I experimented with this years ago and found out that Level One’s send Reiki – maybe not as powerfully but they can. Been teaching my students to do it for years. I understand why it is introduced at level 2, to structure the learning package . Hi Bon, yes, I can see why distant healing ended up being taught on Second Degree (partly because it is based on a state of oneness, which was introduced to Usui’s second degree students in the original system, though they would not have carried out DH in the way that we do). The problem comes when it becomes dogma: that you *can only* send distant healing once you’ve been ‘attuned’ to HSZSN on a second degree course.